The Fresh Flowers are sourced from reliable vendors and make sure of the quality compliance to the international standards. Bunch of 10 Red carnations is the perfect way to express your deepest feelings to your loved ones. We are engaged in offering a comprehensive range of Carnation flowers, which is procured from most reliable nurseries and farmers. These freshly cut roses are widely used as a significance of freedom and freshness. Clients utilize the entire range for varied decorative and gifting purposes on different occasions. We offer a wide range of Ornamental Flowers that are available in variety of colors and can be placed outdoors and indoors. This range of Ornamental Flowers comprises of inexhaustible flowers that gives new look to the house. Our comprehensive assortment of Fresh Oriental Lilies is highly acclaimed for its pleasant aroma and everlasting fragrance. Widely used as a decorative ornament, these jasmine flowers add grace and beautifies various occasions. We offer the entire range in thermocol and Gel Ice mat packing assuring its safety and retained freshness. We are a progressive flori-trading company based in Gazipur Flower Market of Delhi - The largest in India. We are importer and producers of many variety of commercial Cut Flowers . 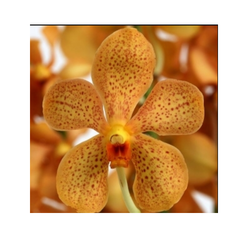 All kind of fresh Ornamental Flowers are available with us as per demand. We offer the best prices for our whole range of cut flowers and accessories .